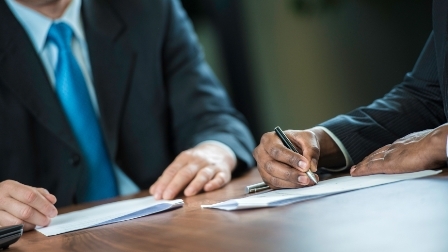 When it comes to estate planning, trusts are arguably the most common method for clients to ensure that their desired beneficiaries are provided for in the manner they wish. But because they impose many restrictions, trusts may not be the ideal solution in certain cases, including those involving married couples in complex situations like blended marriages. In such instances, clients might want to consider drafting mutual wills. According to Margaret O’Sullivan of O’Sullivan Estate Lawyers, mutual wills are similar to mirror wills, which spouses use to create parallel provisions on how the surviving partner and their children will be provided for, the choice of executors and guardians for minor children, and other matters. “[Mutual wills] often ‘mirror’ each other, though that's not required,” O’Sullivan said; they differ from mirror wills in that the surviving spouse cannot change their will upon their partner’s death, except as agreed upon. In other words, both are bound to deal with their property as they have agreed to and can only vary their wills as allowed by their agreement — even after one of them passes away. While the agreement may be oral or written, proper estate planning would involve setting out a written agreement detailing the spouses’ intentions, the property subject to the agreement, and each spouse’s rights and obligations — including those relating to whether and how they can change their will. “Mutual wills can be a useful tool for spouses who are comfortable waiving their right to make changes in the future, except as agreed upon,” O’Sullivan said. In many cases, no written agreement was entered into. The challenge in such cases is to establish evidence to show whether or not there was an agreement. In a 2006 case heard in the Ontario Supreme Court of Justice Hall v. McLaughlin Estate, two spouses executed mirror wills leaving everything to the survivor; the residue after the survivor’s death would be divided equally among their four children. The wife passed away first, leaving everything to her husband. “Upon the husband's death, the wife's children claimed the husband was in breach of his mutual wills agreement after leaving the majority of his estate to his two children,” O’ Sullivan said. “The court found … that the couple intended to enter into an agreement that the survivor would divide the residue of their estate into two equal shares: one for each set of children.” The court then imposed a constructive trust to distribute one half of the husband’s estate for the benefit of the wife’s two daughters. O’Sullivan also noted a concern that mutual wills create inflexibility in the future should the spouses decide to remarry, enter into other obligations, or encounter unanticipated changes in circumstances. She said an agreement based on expert legal advice, however, can address many such concerns.